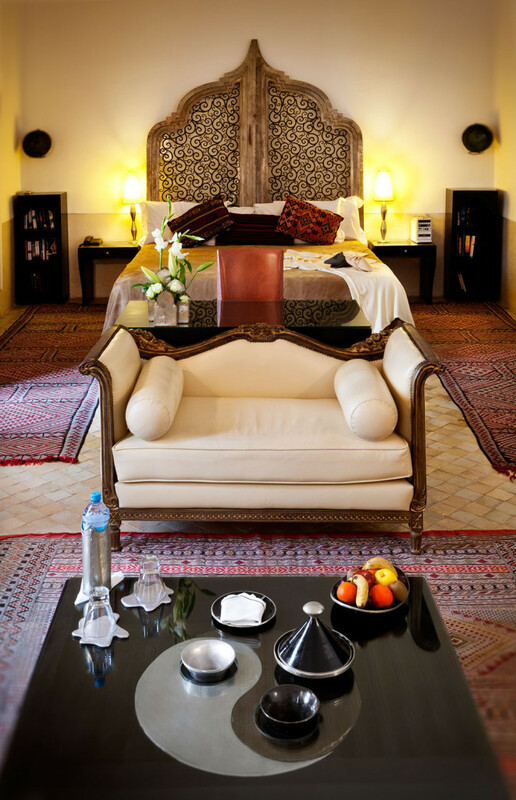 With over 20 staff taking care of just nine suites you can be assured of the most all-embracing service at Riad Farnatchi. 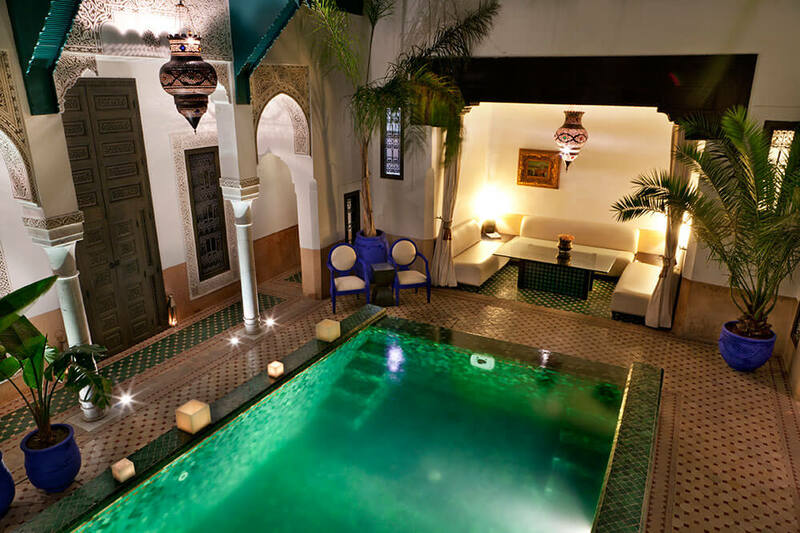 But that’s only part of its charm. 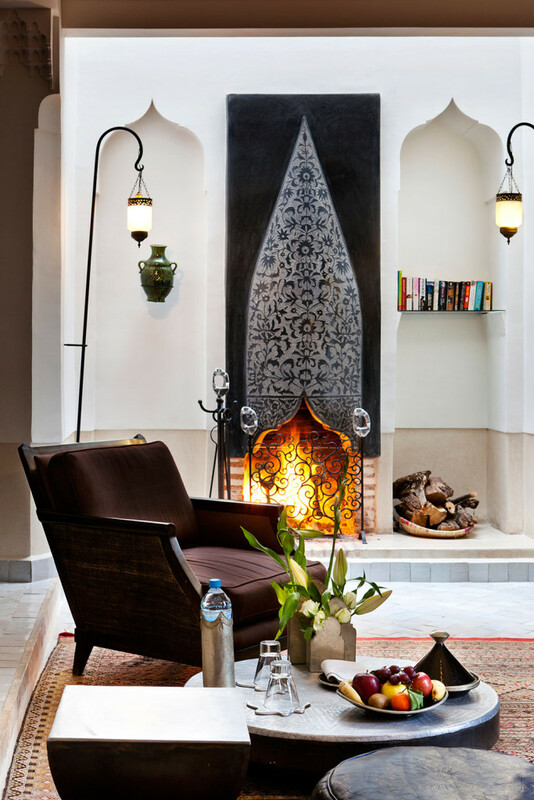 Farnatchi takes the concept of a typical Marrakech riad – individual rooms gathered around a picturesque central courtyard – a step further. 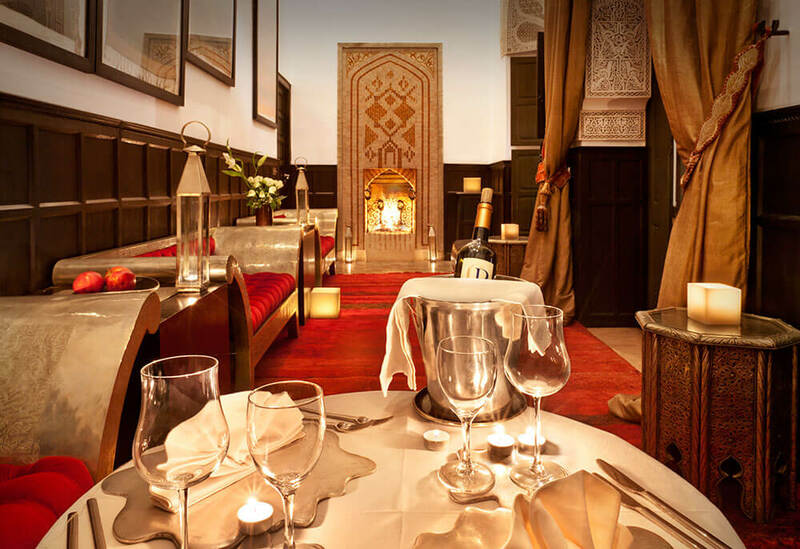 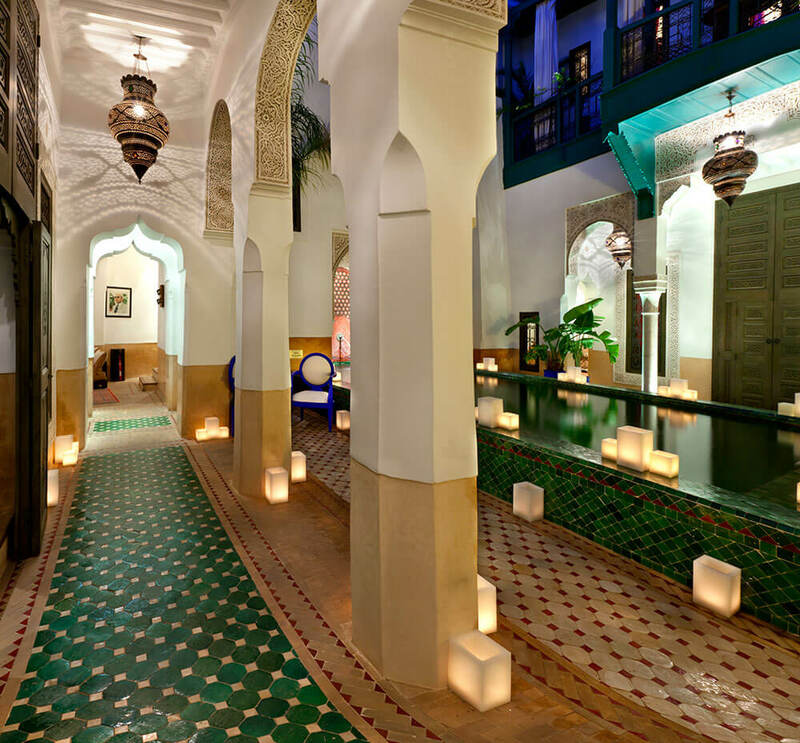 The interior décor features intricately carved arches and rooms reached by winding, white passages. 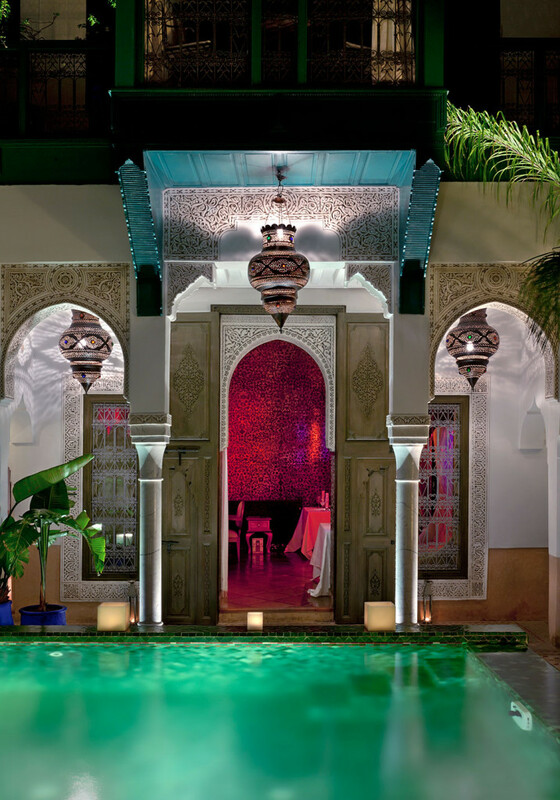 You’ll find traditional lanterns, handmade beds, ornate ceilings, time-worn stone floors and intimate sitting areas. 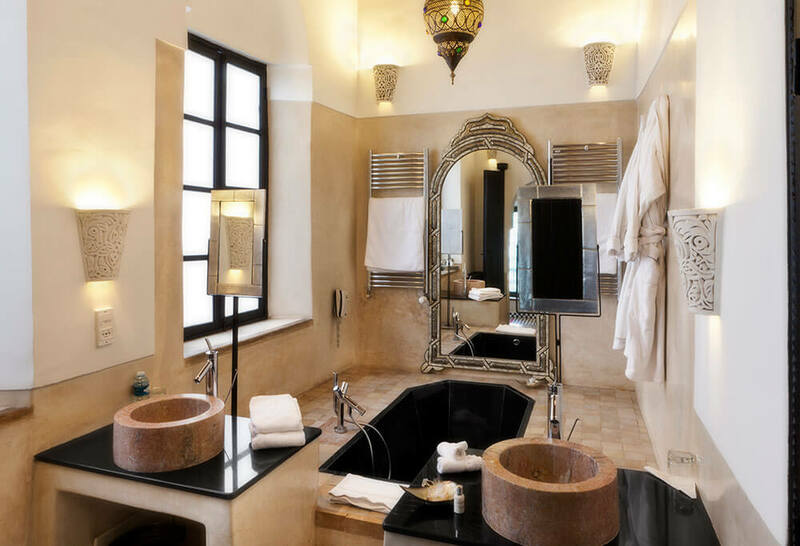 All redolent of the past, but all with the modern design twists that make this boutique hotel so aesthetically appealing. 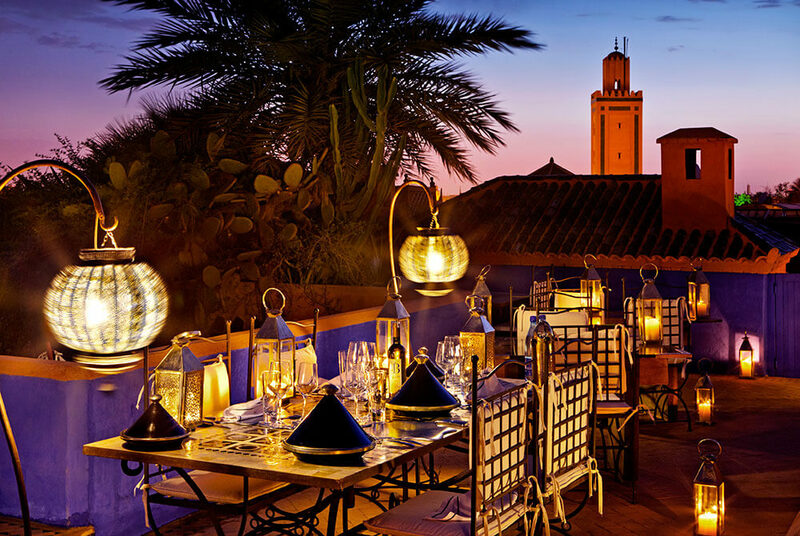 Step beyond the quiet of the Farnatchi and you’ll be immersed in the swirl of life, activity, heat and noise - some of the reasons you chose to visit Marrakech on your luxury, tailor-made holiday to Morocco.